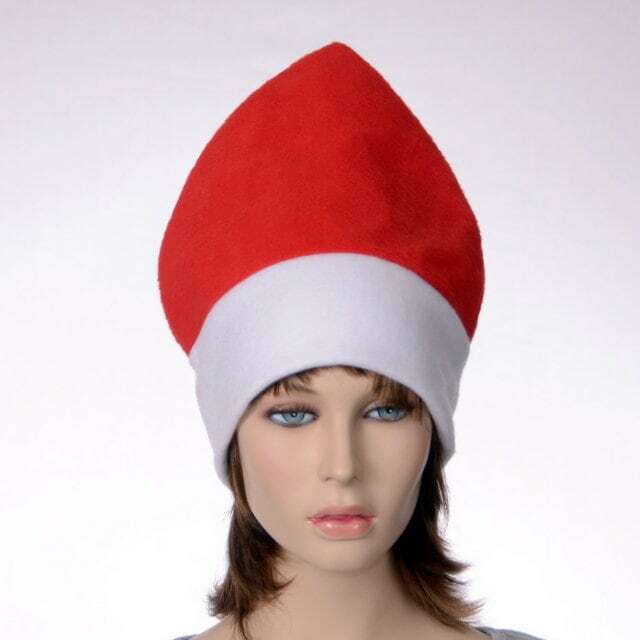 Red and white standing pointed hat. 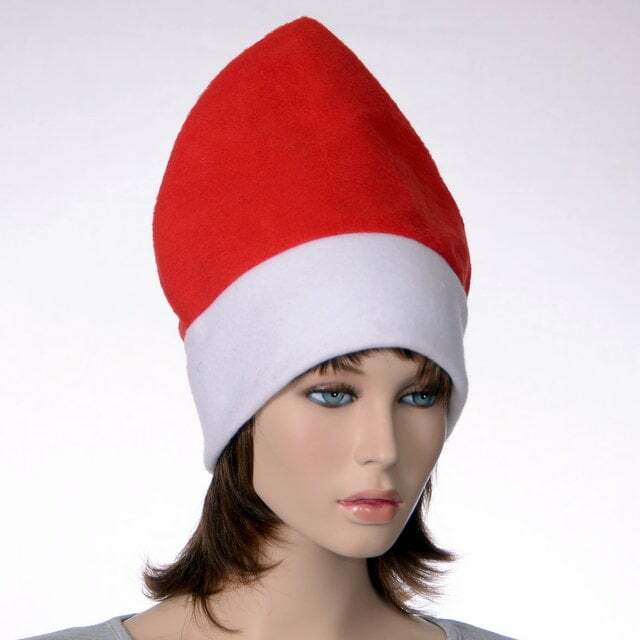 Tall elf or gnome or clergy hat made of fleece. Brilliant red body with white headband. The red body is reinforced with interfacing to keep it standing. Double thick white fleece headband. 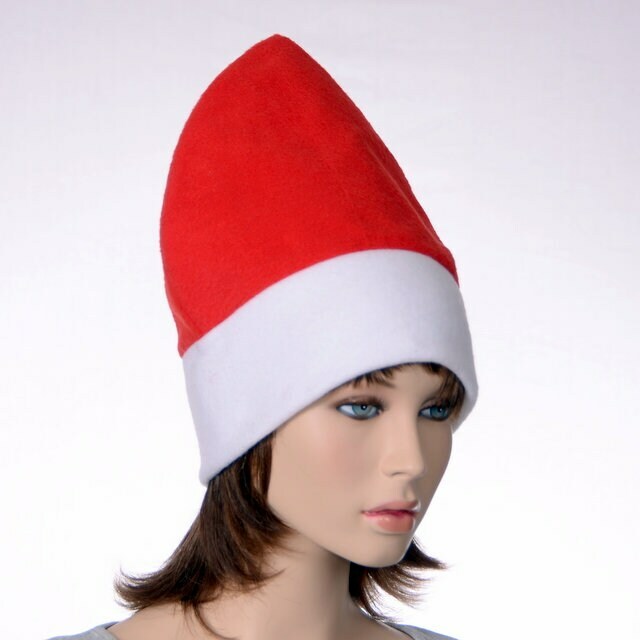 Fits heads measuring between 22 to 24 inches.